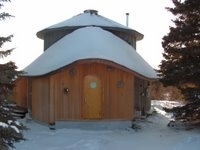 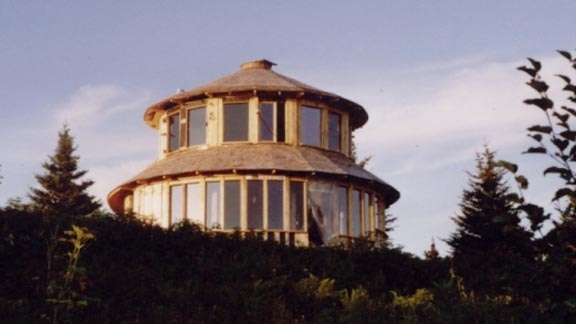 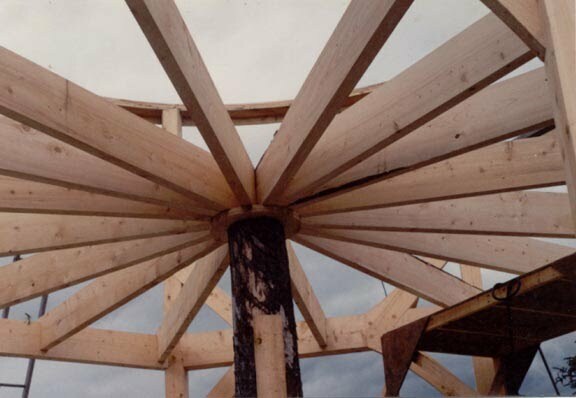 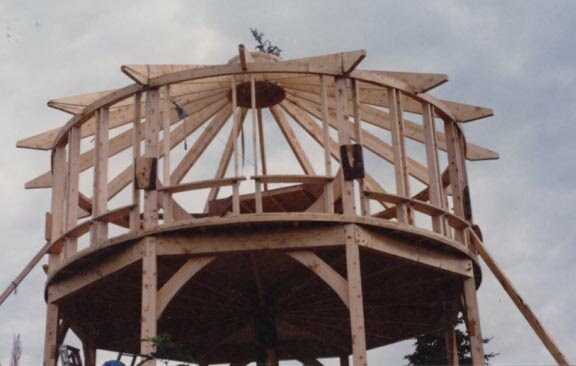 "Not just an ordinary round house" was the goal of the owner, a carpenter herself, who worked in partnership with Larry on this most extraordinary round timberframe that takes maximum advantage of its 270 degree view of Kachemak Bay and Cook Inlet. 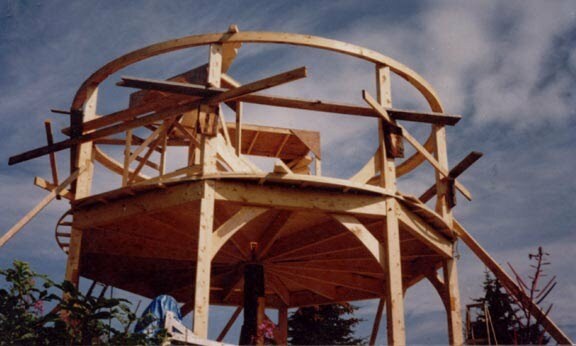 The top photo is the south side of the house, overlooking the view. 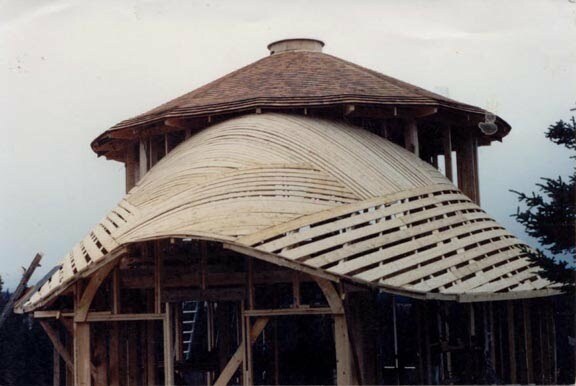 The next two photos show the north side of the house under construction; the ground floor roof uses boat hull building techniques for its unusual shape. 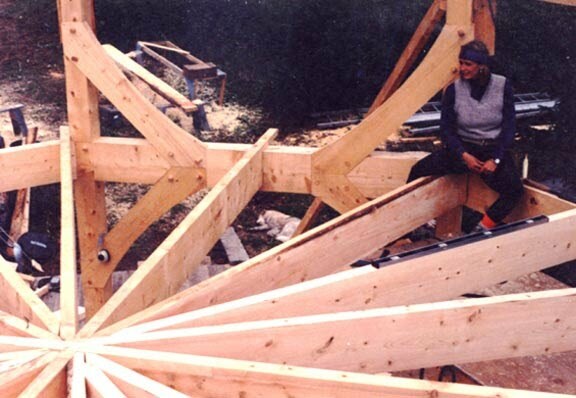 The fourth and fifth photos show the timberframe under construction and the last two photos show the second floor joists from the first floor (with cedar log post) and from the second floor (with carpenter/owner seated on top).